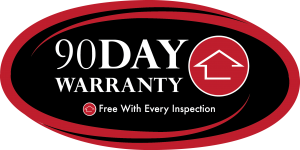 When you have your home inspected by Hargrove Inspections, you can purchase a Simple 12 Month Warranty and get 6 months free! That’s 18 months of coverage for the price of 12! Learn more about the 18 Month Warranty here! All complete Hargrove home inspections come with these FREE services for home buyers! Scroll to read more about these free services! 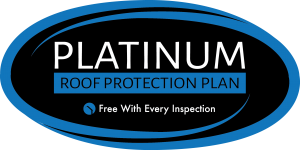 5 Year Platinum Roof Leak Warranty The 5 Year Platinum Roof Leak Warranty is FREE on all of Hargrove Inspections’ complete home inspections for home buyers. This warranty covers the repair of roof leaks that occur within 5 years of the inspection date. Read the exact warranty coverage and let us know if you have any questions. 90 Day Structural/Mechanical Warranty Plus The 90 Day Structural and Mechanical Warranty is FREE on all of Hargrove Inspections’ complete home inspections for home buyers. This warranty covers the structural and mechanical components in the structure for a period of 90 days from the inspection date or 22 days from the property closing, whichever is longer. Read the exact warranty coverage and let us know if you have any questions. 120 Day Radon Warranty The 120 Day Radon Warranty is FREE on all of Hargrove Inspections’ complete home inspections for home buyers. 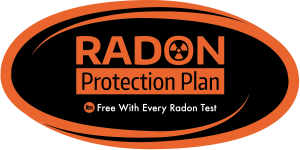 This warranty covers the remediation of Radon gas that occurs within 120 days of the inspection date or 22 days from the property closing, whichever is longer. The property must be tested for Radon gas by Hargrove Inspections (extra charges apply), and the results must come back at 4.0 PCi/L or lower. Read the exact warranty coverage and let us know if you have any questions. 90 Day Mold Growth Warranty The 90 Day Mold Growth Warranty is FREE on all of Hargrove Inspections’ complete home inspections for home buyers. This warranty covers the remediation of visible mold growth that occurs within 90 days of the inspection date or 22 days from the property closing, whichever is longer. Read the exact warranty coverage and let us know if you have any questions. 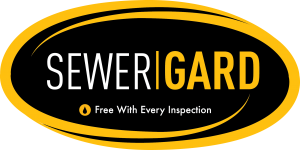 90 Day Main Sewer/Water Line Warranty The 90 Day Main Sewer and Water Line Warranty is FREE on all of Hargrove Inspections’ complete home inspections for home buyers. This warranty covers failures in the main sewer line and main water line from the structure to the service connection for a period of 90 days from the inspection date or 22 days from the property closing, whichever is longer. Read the exact warranty coverage and let us know if you have any questions. 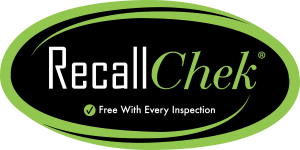 RecallChek on Appliances for Life The RecallChek on appliances for life is FREE on all of Hargrove Inspections’ complete home inspections for homebuyers. Many potential safety hazards exist due to manufacturer recalls on appliances, but how do you know if the home you are purchasing has a recalled appliance? 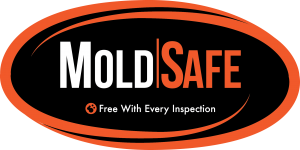 You’ll receive a FREE Recall Report within 48 hours of your home inspection and you will get monthly updates for as long as you wish. You can also add additional or as many appliances as you want anytime. Review a sample RecallChek report to see how beneficial this service is to any home! Find out about how RecallChek works and let us know if you have any questions.